yundai India today launched 2nd generation U2 diesel engine Grand i10. 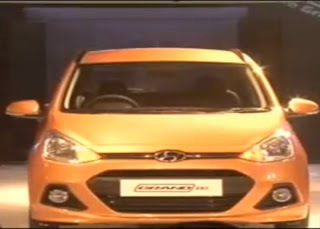 Grand i10 is a sporty, aerodynamic, word-class, spacious and featured packed car. The exterior design of Grand i10 is a sporty, trendy, 14 alloy wheels, chrome door handles and rear wiper with luxurious style. Grand i10 interior design is a spacious, stylish, rear AC vents, multiple storage options and large legroom.